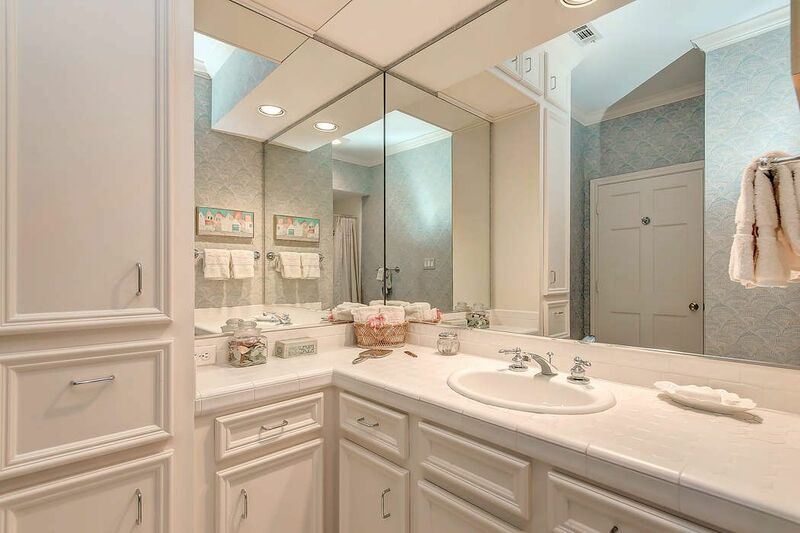 275 Sugarberry Circle, Houston, TX 77024 | Martha Turner Sotheby's International Realty, Inc. Elegant patio style home with a large balcony. Expansive driveway allows for extra parking. 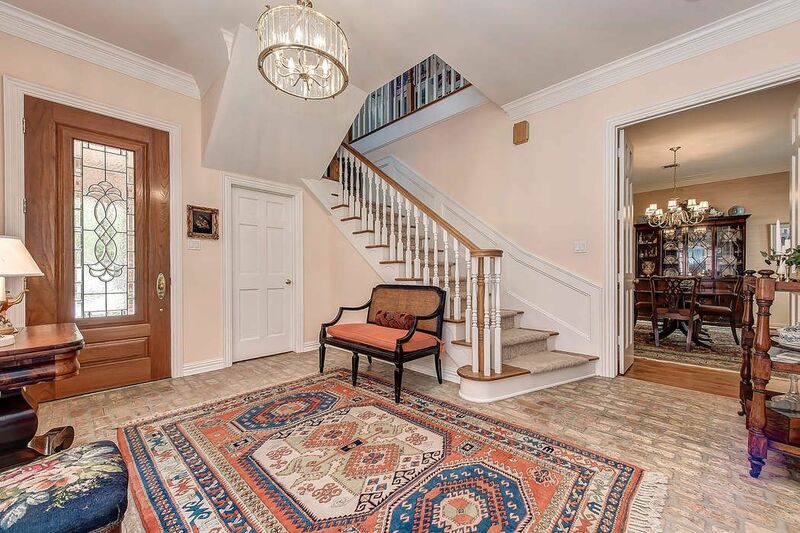 Walk into this attractive foyer. 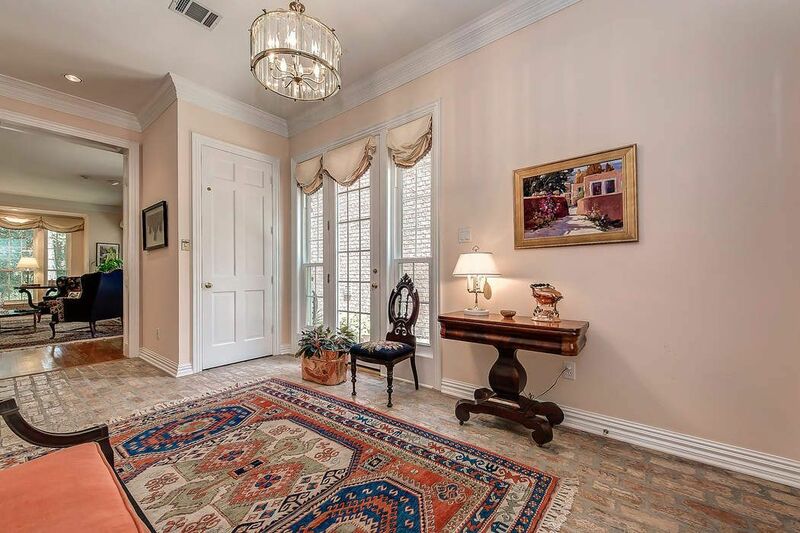 Featuring beautiful brick flooring. The large foyer is complete with a elevator and access to the side patio. 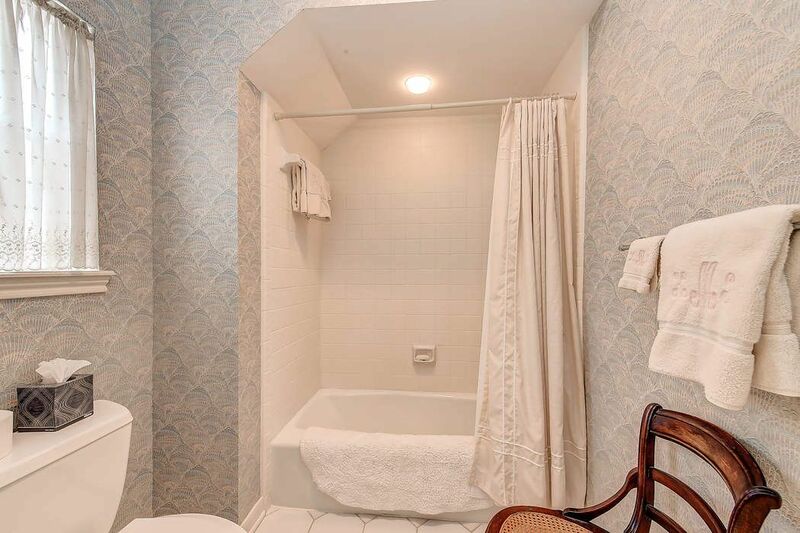 The downstairs powder room is conveniently located off the foyer. 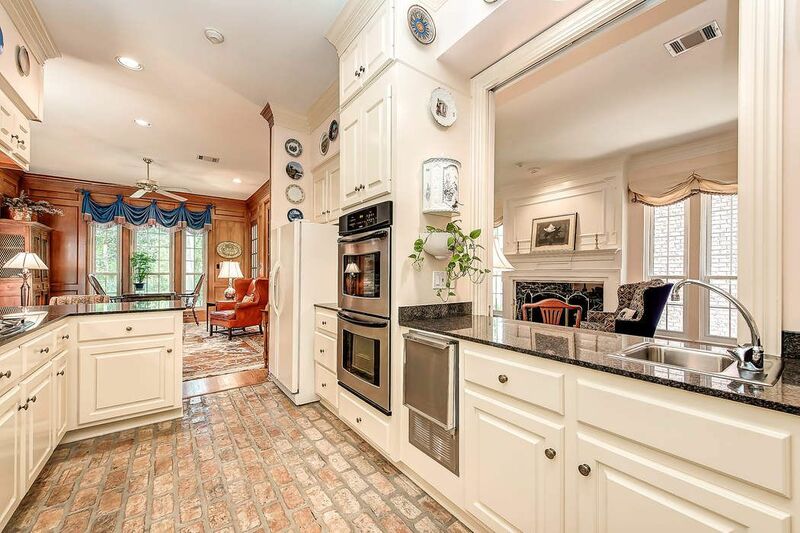 It has beautiful marble countertops and brick flooring. 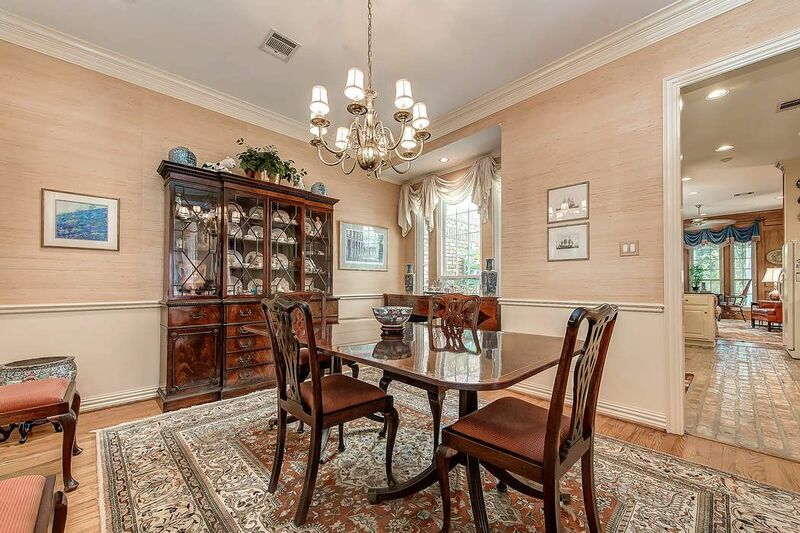 Enter into this elegant dining room that is ideally situated right off the kitchen. It has a great view to the side courtyard. 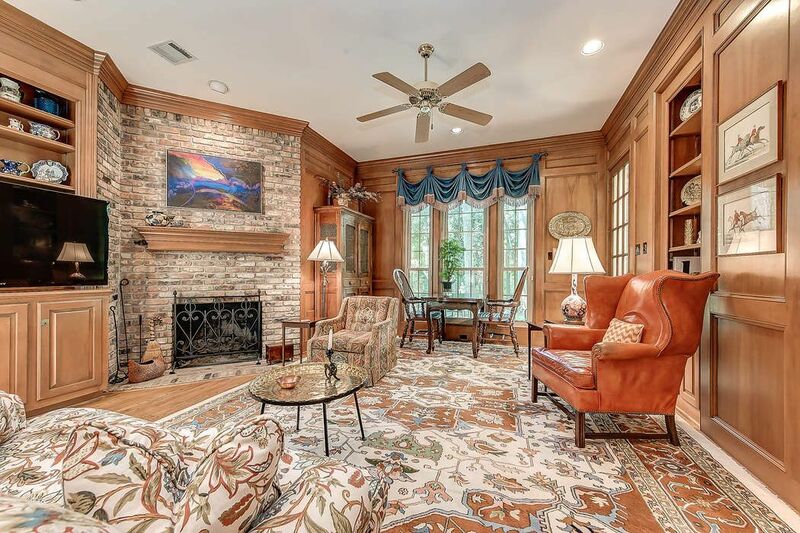 The richly appointed den with beautiful wood paneling and brick fireplace. 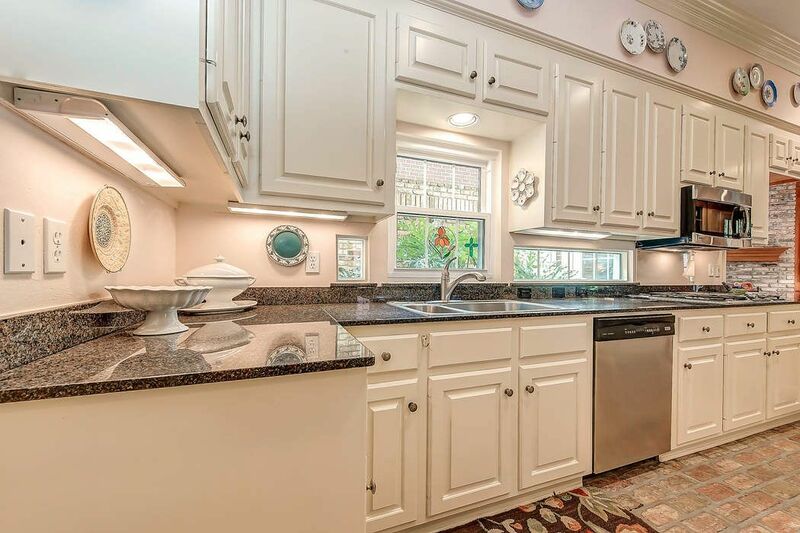 This lovely kitchen includes brick flooring and is centrally located in the home. Another view of the kitchen with the wet bar. Ideally located off the formal living room. 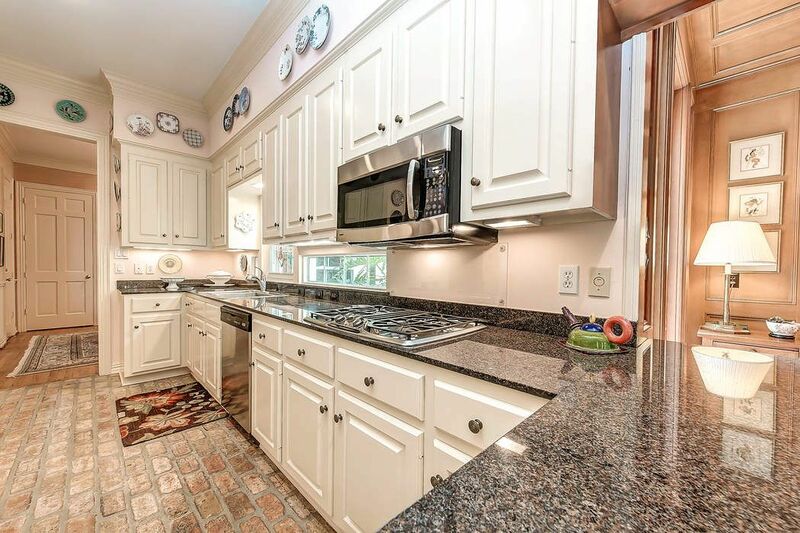 This kitchen has attractive stainless steel appliances and double oven. 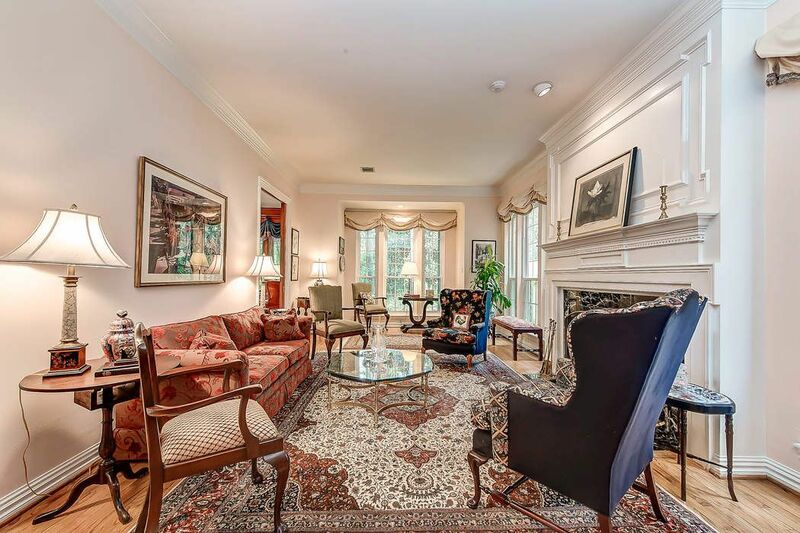 The grand formal living room is airy with the abundance of windows. 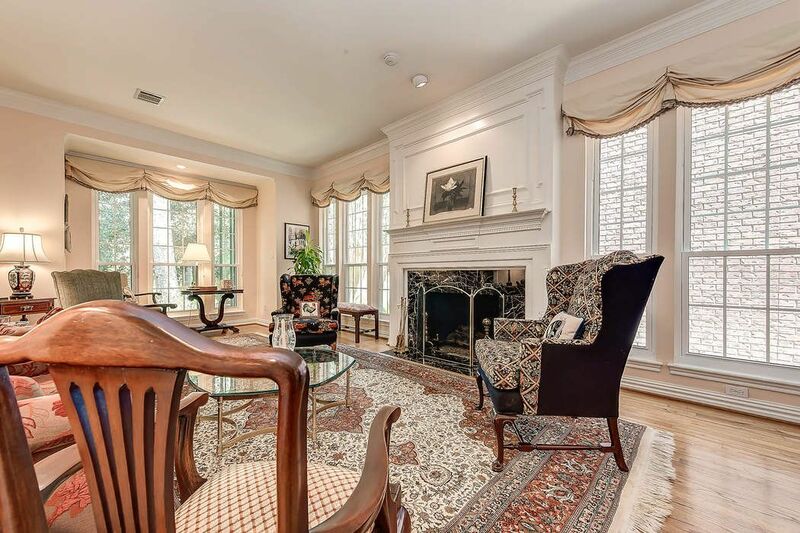 Another view of the formal living room featuring a gorgeous fireplace and woodwork. 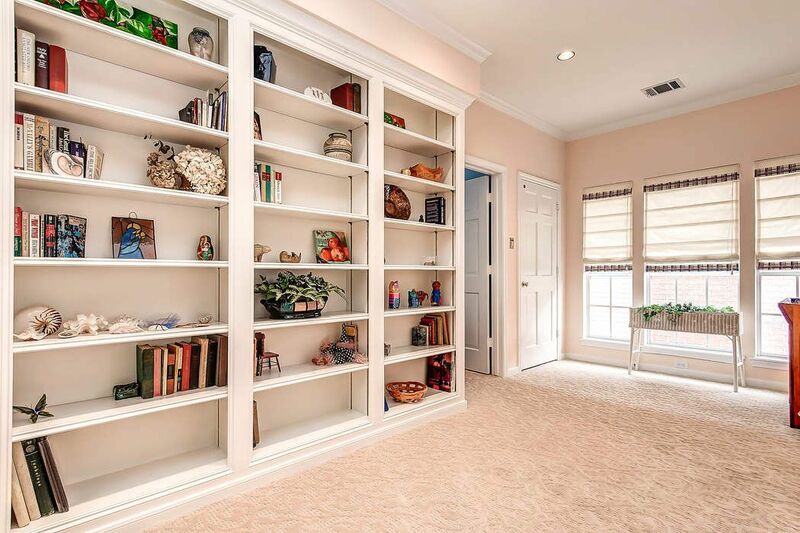 The upstairs landing includes a hall closet and plenty of bookshelves. 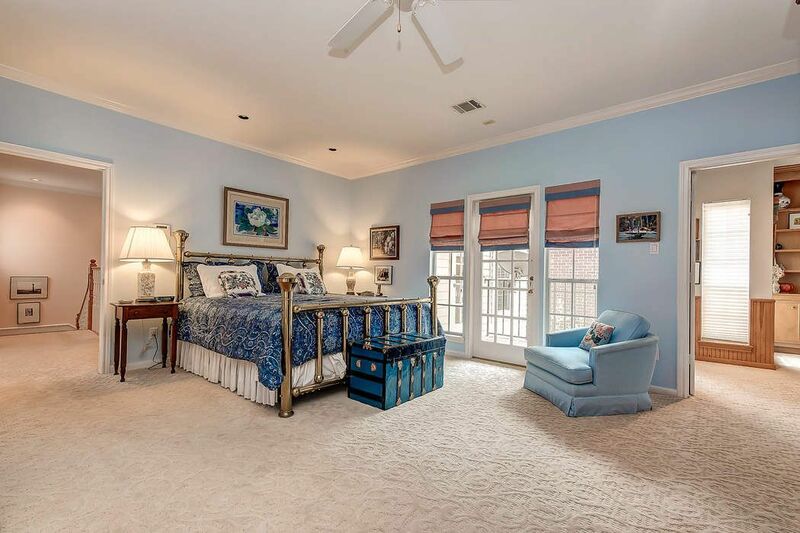 The upstairs master bedroom is expansive enough to fit all your furniture. Another view of the master bedroom complete with a balcony. 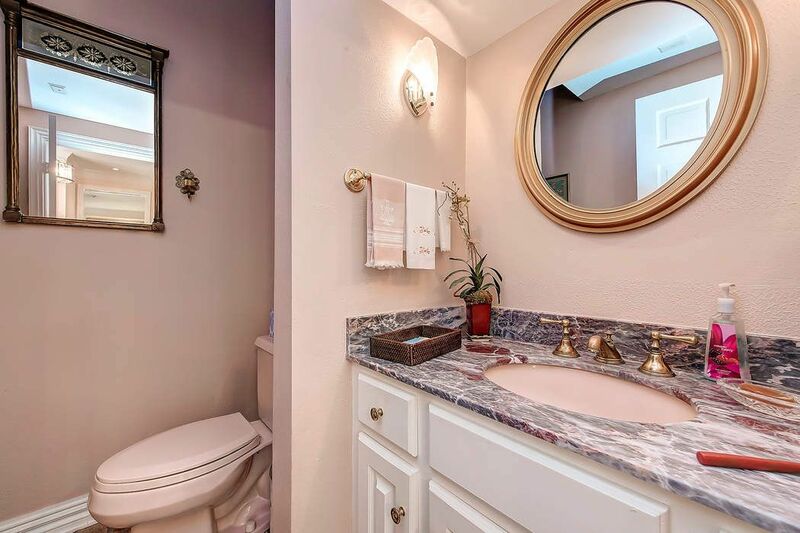 This graceful master bathroom includes double sinks. Right off is a spacious master closet. 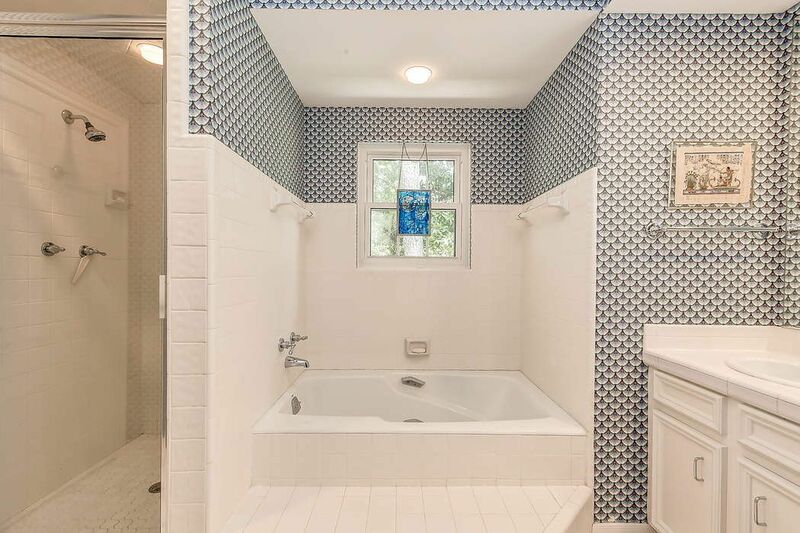 Another view of the master bathroom with a separate bathtub and walk-in shower. 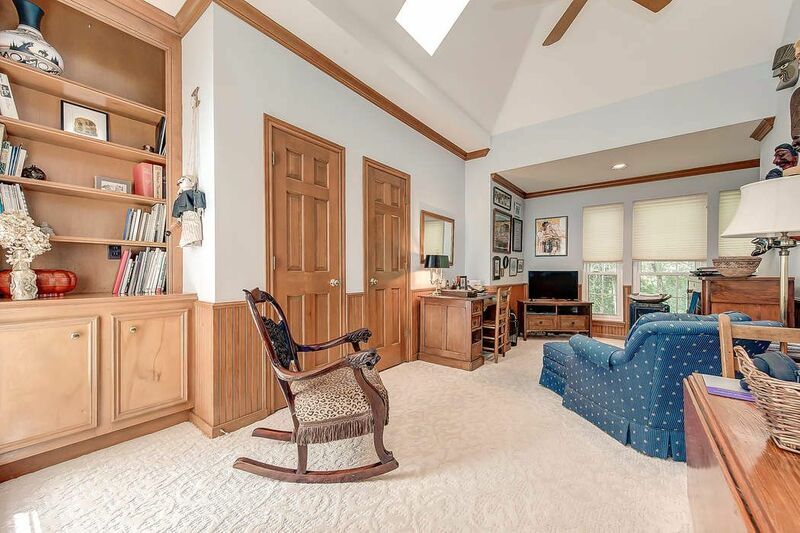 The handsome study is conveniently located right off the master bedroom. It has double closets and built-ins. 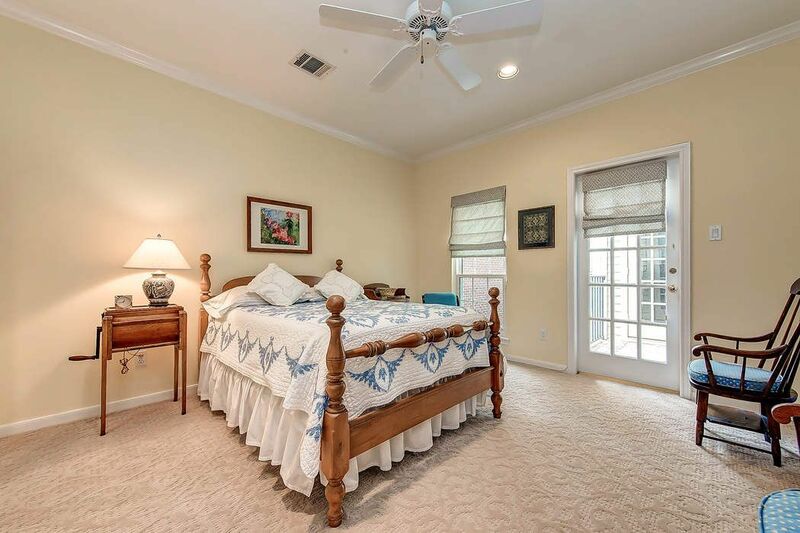 The upstairs balcony includes brick flooring and allows for extra light in the master bedroom. The upstairs landing is also has access to the elevator. 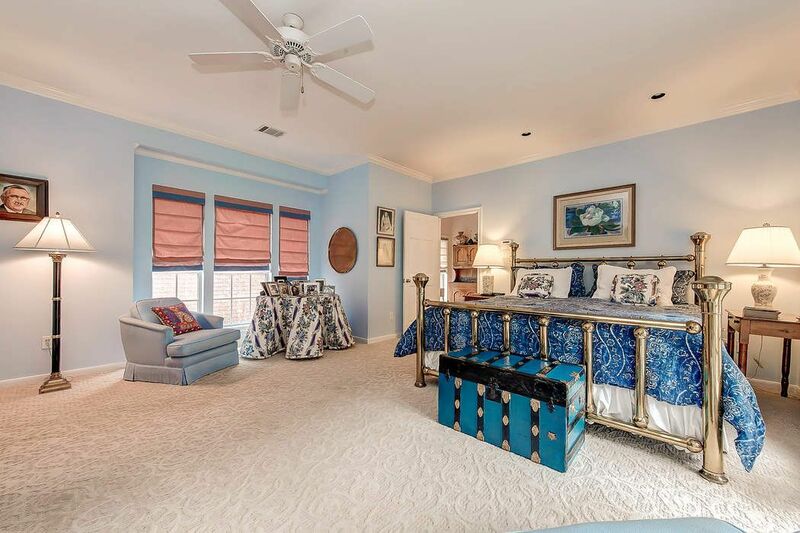 A spacious upstairs secondary bedroom with a walk-in closet. 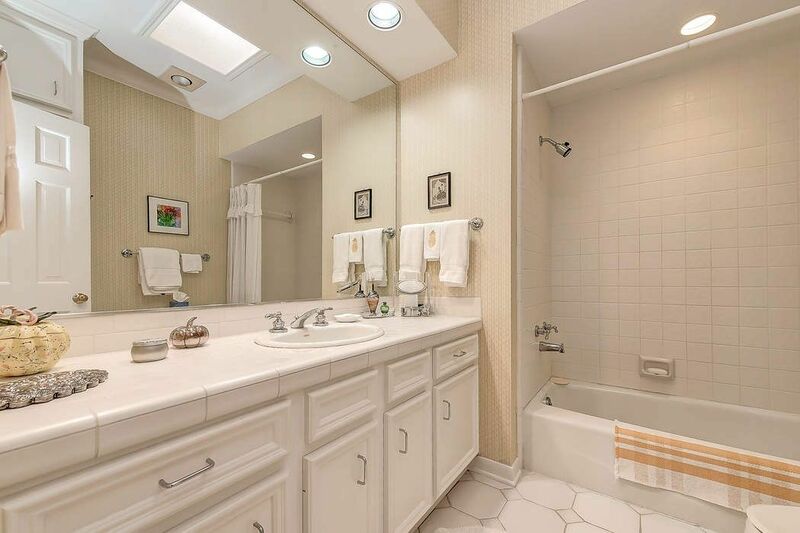 This en-suite bath is located right off the secondary bedroom with built-in cabinets. The third bedroom upstairs comes with a walk-in closet and has access to the front balcony. A discreet pocket door closes off the hallway to turn this into an en-suite bathroom off the third bedroom. 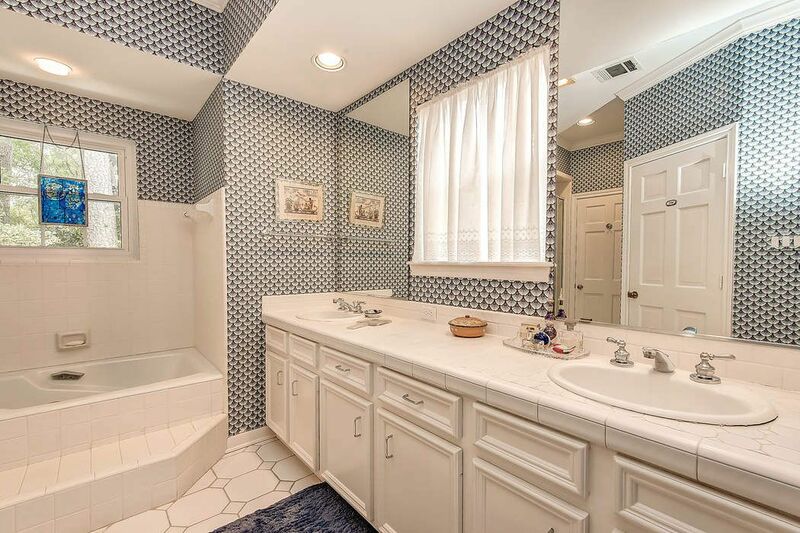 Another view of the bathroom that comes with a large counter and built-ins. 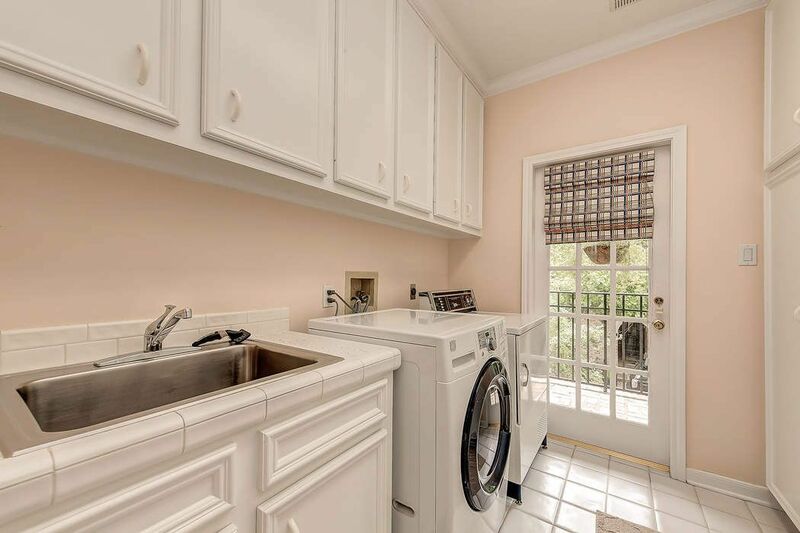 The utility room has a sink and plenty of cabinets. 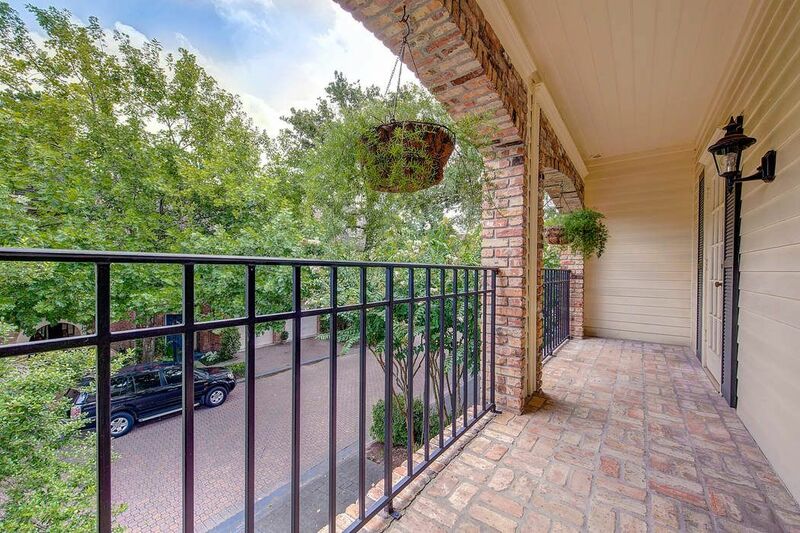 The scenic balcony located at the front house has brick flooring. 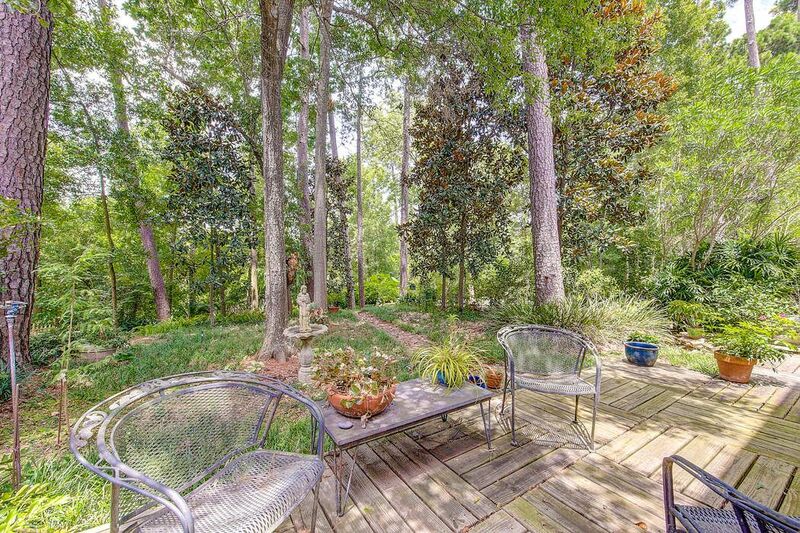 This back porch is the perfect place to relax and enjoy your quiet retreat. 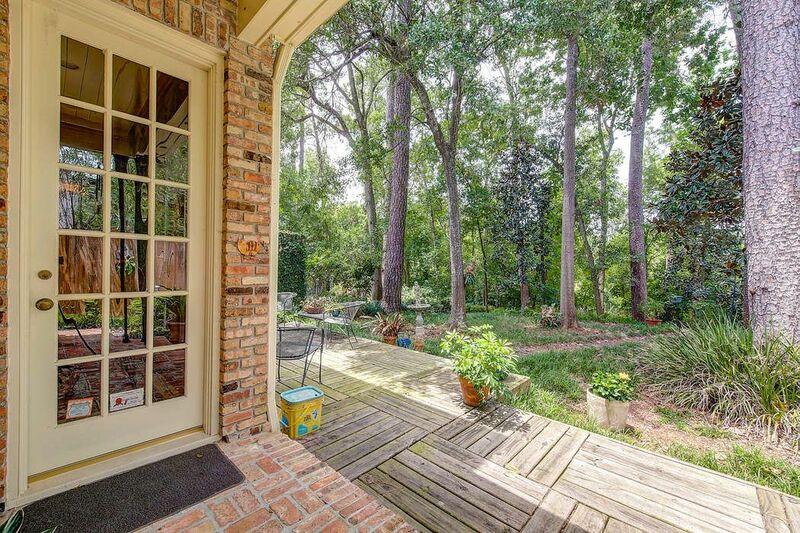 A picturesque view looking down towards the bayou from your back porch. Another view of the wooded space looking back towards the house. 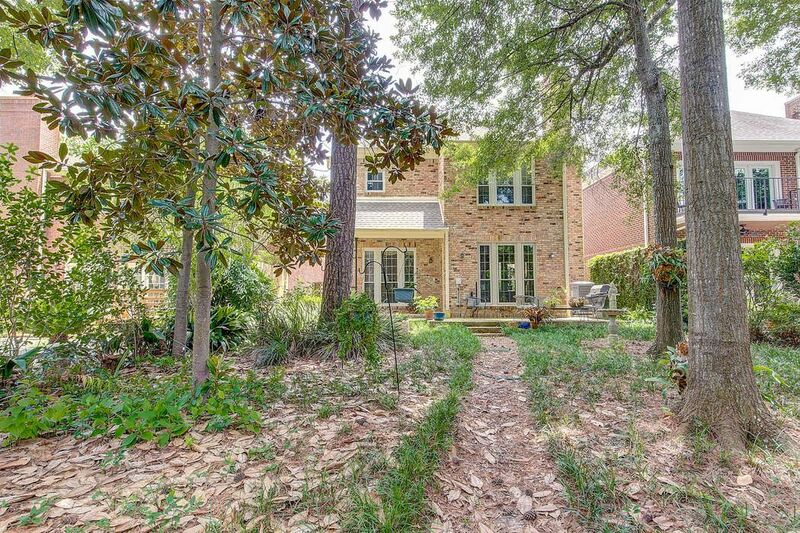 Another view of the wooded space behind the home allowing for many different options. 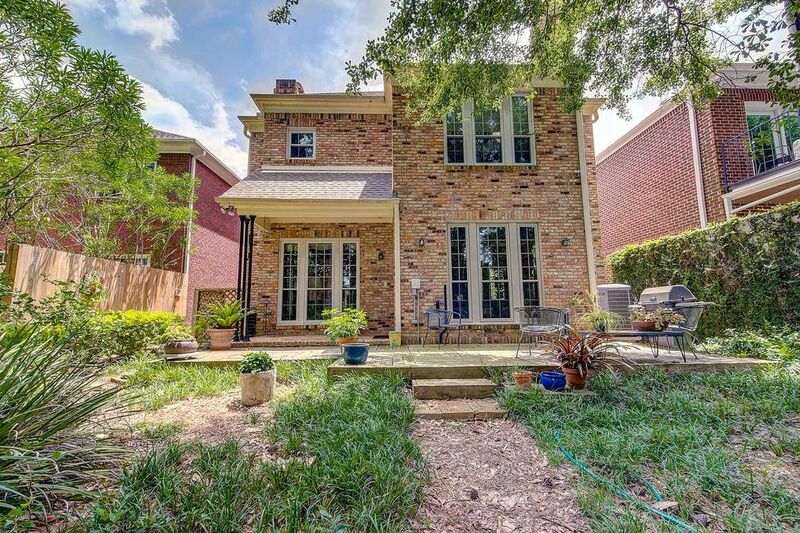 $835,000 3 Bedrooms3 Full / 1 Partial Baths3,339 sq. 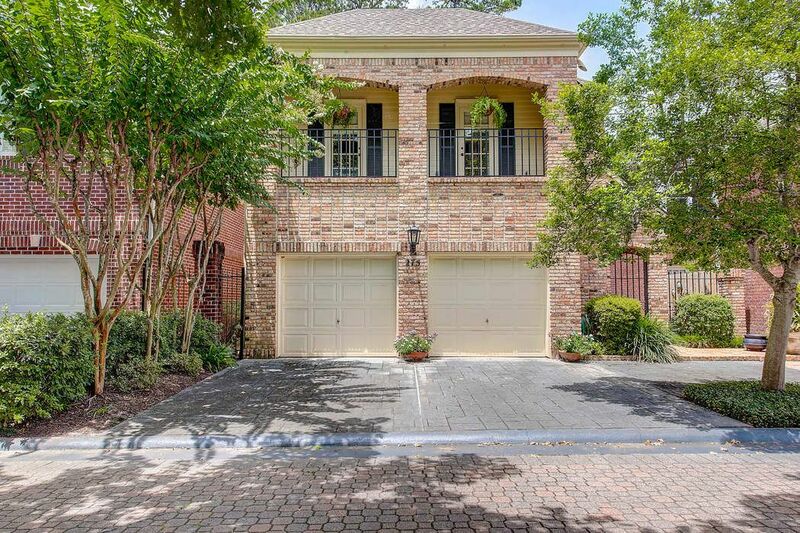 ft.
Charming traditional built with New Orleans style touches, designed by Charlie Geyer, a Houston architect. 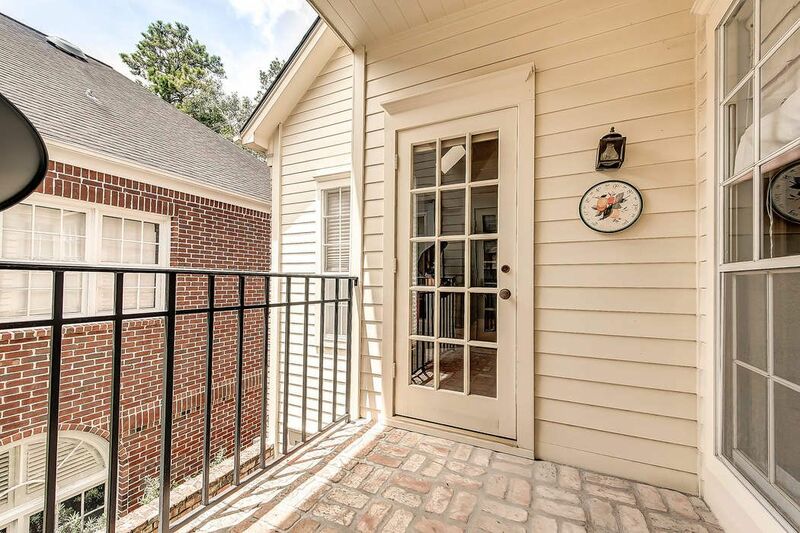 Enter private gate into a brick paved courtyard. Entry hall and kitchen is bricked as well, which creates a warm welcome for your guests. Two fireplaces and wood floors add to the appeal of the first floor. Kitchen boasts stainless steel appliances. Elevator or stairs lead you to upstairs landing where you will find built in shelving. 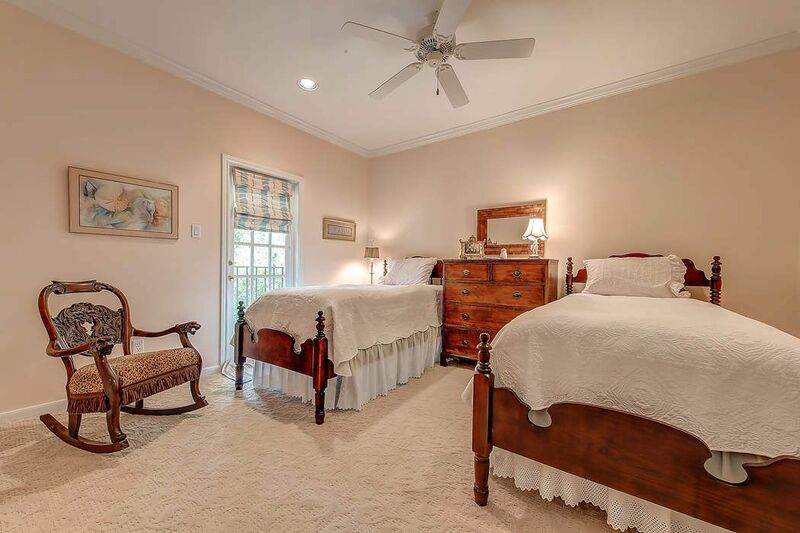 Large master bedroom connects to a private paneled study both with ravine views. Two more bedrooms and baths with balconies and utility room. 24-hour guard gated community. Did not flood. High and dry.